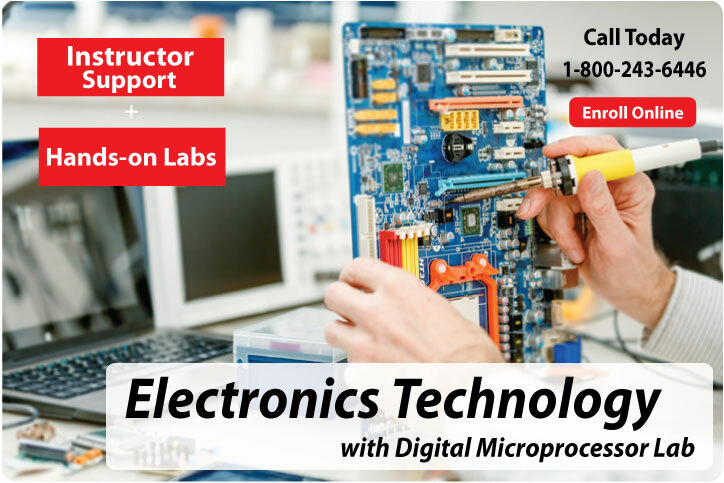 CIE's distance learning Electronics Technology with Digital and Microprocessor Lab (Course 14B) is our most advanced troubleshooting program. This course expands on the lessons from Electronics Technology with Lab to prepare students for jobs in computer maintenance, advanced industrial control/instrumentation systems, and microprocessor control. CIE's instruction staff upgraded this course to included new material on PIC coding and 68HC11 microcontroller technology! The new module contains 17 lessons where students learn how to program the 68HC11 microcontroller used in PIC programming and understand the principles of processors. In addition they will know how to interface keyboards and displays to the 68HC11 and learn about high-level languages. 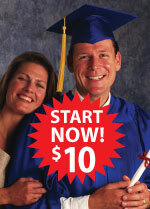 Enroll on-line in Course 14B for only $10 down. Electronics Technology with Digital and Microprocessor Lab (course 14B) is a laboratory-intensive course that contains 155 lessons with over 100 hands-on training experiments using CIE's Personal Training Laboratory, Multimeter and Digital Security Control Device. You can take your exams online with our e-grade site. This program was created specifically for the distance education student. Experience a step-by-step method of learning that allows you to master the fundamentals and then move on to more advanced topics! Students graduate with a Diploma in Electronics Technology. CIE has been teaching students via distance learning for over 80 years. Electronics Technology with Digital and Microprocessor Lab also includes a study guide on how to prepare for the Associate-Level Certified Electronics Technician (CET) exam. CIE has an open enrollment policy and you can start this program at anytime. One of the advantages of enrolling with CIE is that you can study at your own pace. We can accommodate almost any arrangement that suits you best and with our generous time allotment of 42 months for Course 14B you can be assured to have enough time to complete your program. Over 100 Laboratory Experiments using CIE's Personal Training Laboratory with CIE's Multimeter and Digital Security Control Device. Complete lesson listing of the Electronics Technology with Digital and Microprocessor Lab course.